Why would I need self storage in Arlington, VA? There are a variety of reasons why you might need self-storage in Arlington, VA.
How much is a storage unit in Arlington, VA? The cheapest storage unit in Arlington, VA is $60.00 per month. What size storage units do you have available in Arlington, VA? In Arlington, VA we have sizes that range from 3'x5' to 15'x30' to suit your storage needs. How much is it for a 3'x5' storage unit in Arlington, VA? The cheapest 3'x5' storage unit in Arlington, VA is $89.00 per month. Arlington is a large, bustling community that sits on the west bank of the Potomac River in the state of Virginia. It's just 3 miles from Washington, D.C., and 8 miles from Alexandria, an ideal location for businesses and residents alike. Although it's often referred to as a city, Arlington is actually a county with no incorporated cities or towns within its boundaries. The place where Arlington sits was set aside in 1791 for the United States capital. After Washington, D.C., was chosen instead, the land was returned to the Commonwealth of Virginia in 1846. Living in Arlington means you'll be surrounded by history, culture and major U.S. landmarks, as well as a bustling business and government-based economy. The area is best known as the home of the Pentagon, Arlington National Cemetery and the Iwo Jima War Memorial. Transport into and out of Arlington is easy, as the county is intersected by Interstates 66 and 395 highways and the George Washington Memorial Parkway. Arlington is also home to Ronald Reagan Washington National Airport, so you'll have convenient access to air travel. The area also hosts plenty of shopping, hundreds of restaurants and plenty of arts and cultural institutions. In recent years, Arlington has grown rapidly as more people look to take advantage of its excellent job opportunities and central location. There's a high percentage of young, single professionals in the city, many of whom are drawn to the city's low unemployment rate and strong economy. 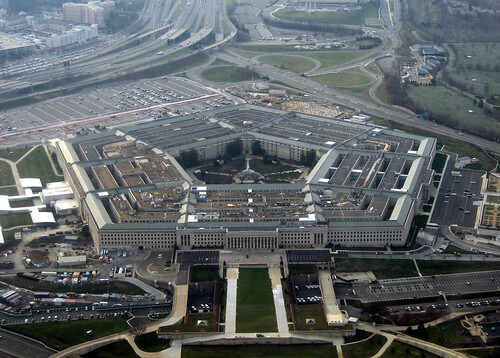 Historically, the majority of Arlington's jobs have been provided by the federal government. In recent years, however, high-tech companies and household business names have helped diversify the local economy. AES, Graham Holdings, CACI International, Towers Watson, Interstate Hotels and Resorts, Nature Conservancy and Evolent Health are just some of the large corporations based in Arlington. Prominent employers like these are attracted to Arlington for its highly educated population. Arlington may be so well-educated because there are numerous well-respected universities and colleges in the area, including Marymount Institute, The Art Institute of Washington, Westwood College Arlington-Ballston, Chamberlain College of Nursing-Virginia and Argosy University-Washington D.C.
Arlington Public Schools oversees the public schools and specialized educational programs in the county. You can also find a large number of private schools throughout the city, as well as additional options in nearby cities. Utilities: Arlington's primary utilities providers include Dominion Energy, Washington Gas and Arlington County. Garbage and Recycling: All single-family homes and duplexes, as well as some town houses, receive curbside collection of trash and recycling. Other multi-family communities typically utilize community dumpsters. Transportation: The Arlington Transit system and MetroBus provide public transportation services throughout Arlington. Personal Vehicles: You'll need to register your vehicle with the state of Virginia and Arlington County within 30 days of your move. Depending on where you live, you may also need to obtain a residential parking permit. Arlington has many two- and three-bedroom homes and condominiums as well as town houses and multi-family units. New properties are hard to find, but there are many historical homes with plenty of charm and character. Like most communities near D.C., Arlington has a very expensive housing market. Our lowest priced units in Arlington, VA average $79.00 per month. 229 people have reserved units in Arlington, VA in the past 30 days. There are 3 locations within Arlington, VA's city limits. There are 2 locations in Arlington, VA that offer AC and Heating features.